Nigerians were stunned when Blackface released a new diss song solely to attack his age-long foe, 2face Idibia. 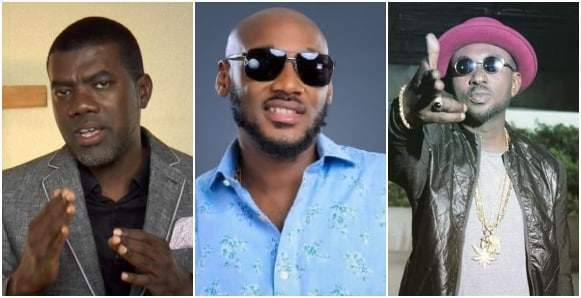 It is no longer a secret that Blackface and 2face have been at loggerheads over the years with the former accusing the latter of stealing his songs and making money off him. In the diss track, Blackface accused 2face of being gay and made other allegations. However, Nigerians have reacted, with many criticizing Blackface, asking him to please let go of his bitterness and move on with life. 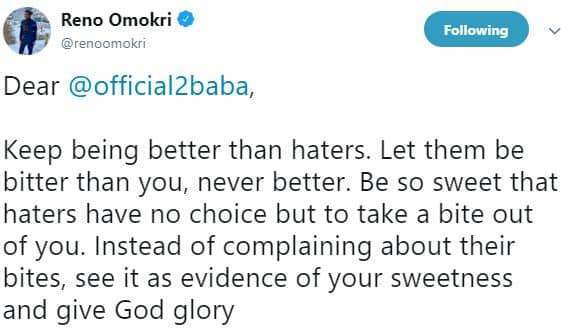 Remo Omokri has weighed in on the matter. He reached out to 2face, asking him to keep being better than his haters. "Keep being better than haters. Let them be bitter than you, never better. Be so sweet that haters have no choice but to take a bite out of you. Instead of complaining about their bites, see it as evidence of your sweetness and give God glory"